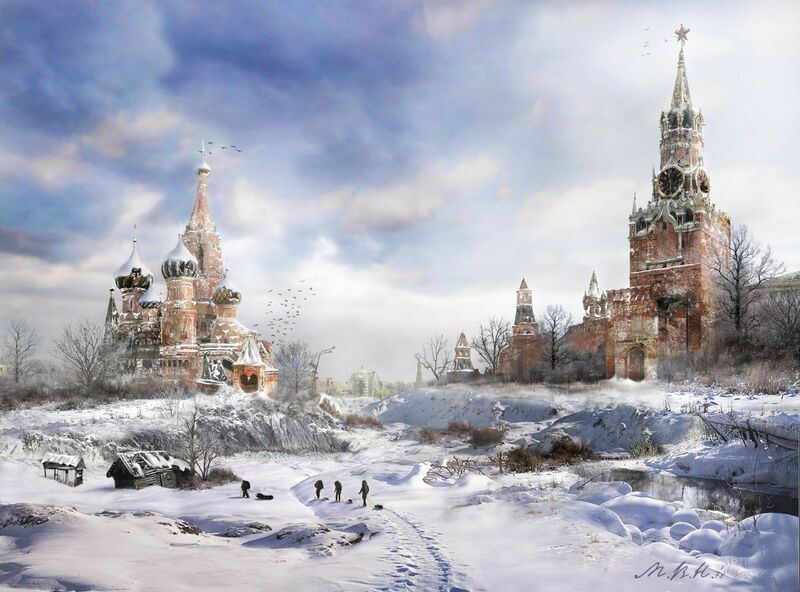 This how some Russian artists see Moscow after 2012. Those can go as wallpapers I guess, the big images are available on click. Blow them up and print then in four or eight A4 sheets. Glue them together and there you are. After the apocalypse you will still be able to view Lenin’s body. The lines will be much shorter. Why the hell are the “survivors” living in a busted-up, thrown-together shack when they could be living in the ruins of the Kremlin? Because it is reserved only for the elite survivor comrades. For tribal leader of Moscow central district. Better yet, show us, your fellow travelers, pictures of Washington DC, the capital of US terrorism, in wreck and ruin in 2012! Emission in approximately 50 seconds – head for shelter!! Who is the author? Website link? Caution: site is in Russian. The name of the set of pictures is “Kremlin Valley: The Seasons”. 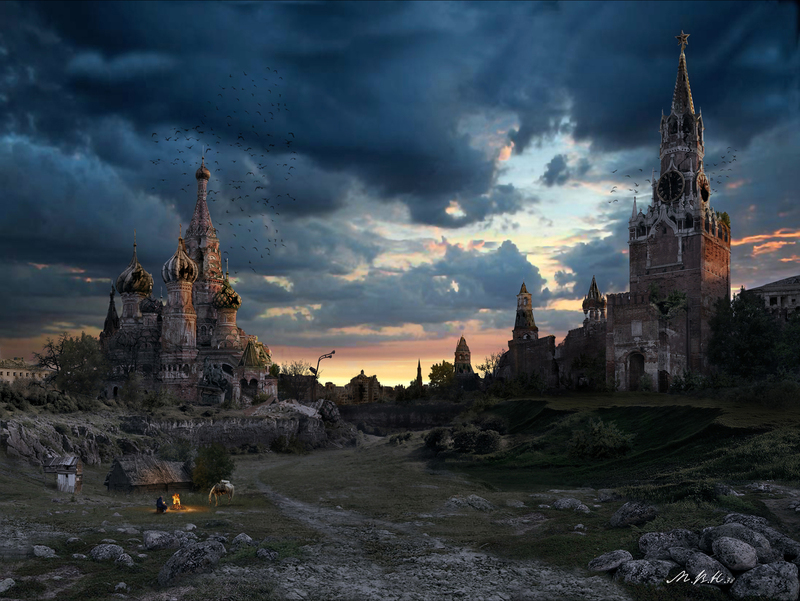 It’s the matte painting, a kind of collage. Take a look at other pictures of this author – he’s a very talented artist. 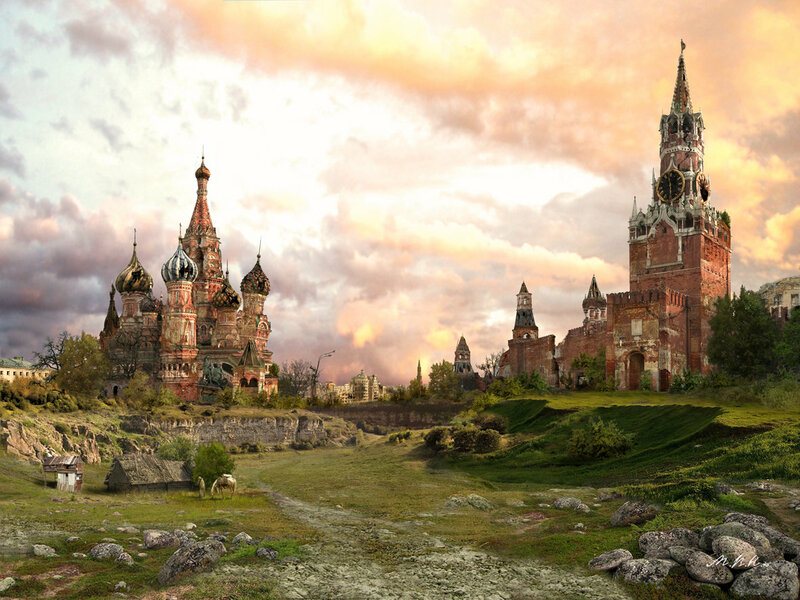 The site itself is a well-known Russian 3D-art magazine. very cool photos. The detail of the photos is simply amazing. Great pictures! Too bad the resolution is awful. Looks just like the real thing ! Hey, Yourmum, have you been living under a ROCK for like 20 YEARS. Communism died out in Russia a long time ago! 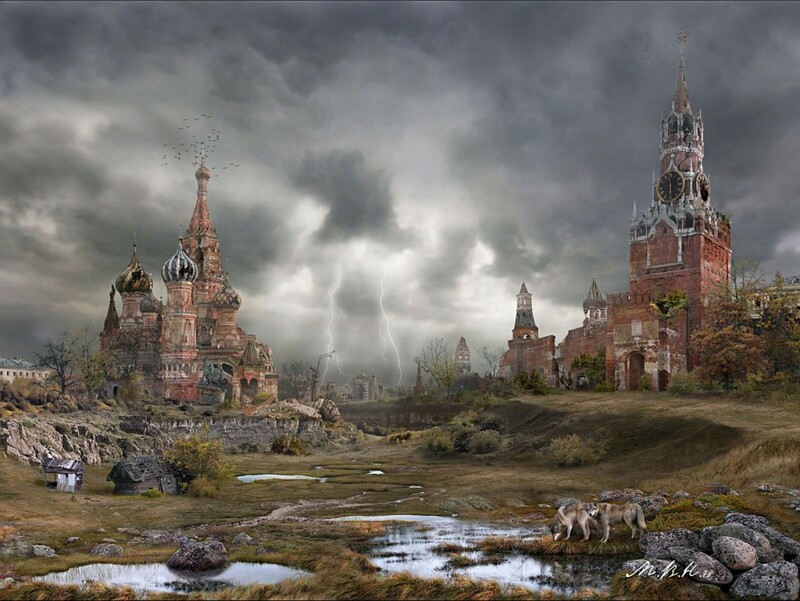 In fact, the communist party is outlawed in Russia now, and it is now just like us–a kleptocracy, run and managed by a few elites who have shame elections which allow other pre-selected elites to run (ruin) the country. Wake up guy!!! Sorry, but the winter, autumn foreground landscape doesn’t match the other pictures nor each other.